Great Gift – Stylish, and durable our OD Green, OD Green, and Multicam Camouflage Paracord Bracelet is a perfect gift for ALL age groups. 20% Donated- Feel great about your purchase! Buy this OD Green, OD Green, and Multicam Camouflage Unity Band and we will donate 20% to a nonprofit organization that helps people in need, so you can feel awesome that you're helping people who need it most. Extremely Durable- This OD Green, OD Green, and Multicam Camouflage Paracord Bracelet is made from real, authentic 550 parachute cord so it's durable in almost any situation. The Unity Band is more than just a OD Green, OD Green, and Multicam Camouflage Paracord Bracelet. It is a symbol of people uniting to help others in need. From the care that goes into each handmade Unity Band, to the love spread by the awesome organizations we support. A Unity Band is the only paracord bracelet that is not just a symbol of survival, but of strength and Unity. Handmade with 550 parachute cord, the Unity Band paracord bracelet is strong. The 550 cord is made of nylon strings that can hold up to 550 LBS without breaking. This makes a Unity Band almost impossible to destroy! Each Unity Band paracord bracelet is fastened with our one of a kind Red button. Pressed, and made of strong alloy, the Unity Band button will never break, bend, or chip. Once pressed from hard alloy each button is powder coated red for a very durable finish, and awesome looking fastener. When you buy a OD Green, OD Green, and Multicam Camouflage Paracord Bracelet from Unity Bands you know it is unlike any other paracord bracelet in the fact that it is not based on survival, but helping others. If helping others is not enough for you to buy our paracord bracelet than you should buy one because they’re awesome. Each is handmade, meaning no 2 can ever be exactly the same. Our Red Button fastener is unlike any other in the industry. Most paracord bracelets use bulky clasp, and huge ugly fasteners. Instead of outsourcing our product, we pay awesome people to make them… So you’re actually creating jobs when you buy a Unity Band! 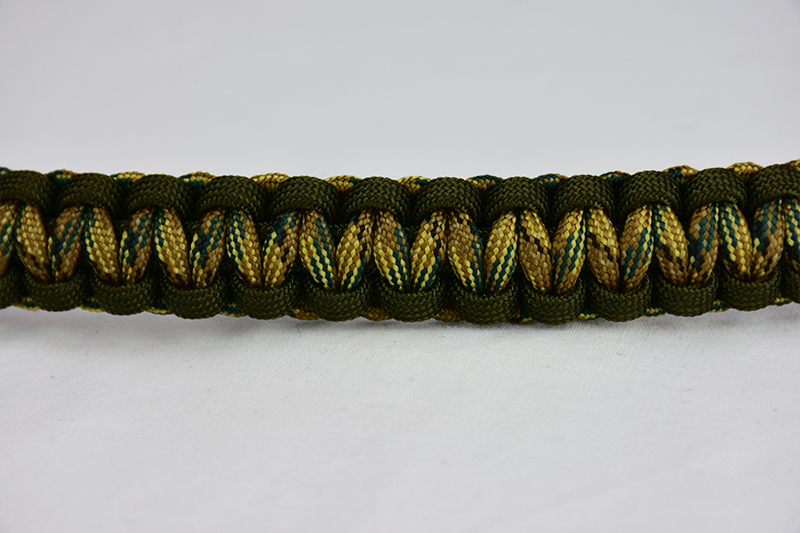 Have questions about this OD Green, OD Green, and Multicam Camouflage Paracord Bracelet? Contact us and we will respond to you as soon as possible!